Integrated RSS that is! For those on our Plus and Pro versions (or if you are currently checking out a Free Trial) — we’ve added a new surprise! By now you’ve probably heard that Google Reader has been retired, sadly this was one of our favorite integrations (maybe yours too?) . 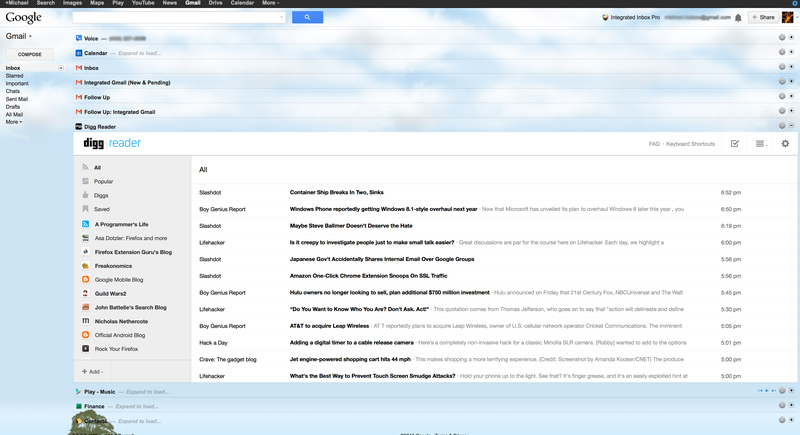 We’re on a mission to bring RSS back to your Integrated Inbox and we’re interested in your thoughts on its replacement! We’ve looked at the top contenders and have already integrated Digg Reader into the latest version for Plus, Pro and Trial users — we would have loved to add Feedly too, but we’re waiting for a security update, to make it compatible with Gmail’s strict guidelines. What do you think of this new version, please share your feedback in the comments too! We’re working hard to continue to improve Integrated Inbox for everyone.